Modern, high-speed, oil-free screw compressors have asymmetric screw profiles, resulting in significantly improved energy efficiency, due to reduced internal leakage. External gears are most often used to synchronize the position of the counter-rotating rotors. As the rotors neither come into contact with each other nor with the compressor housing, no lubrication is required inside the compression chamber. Consequently, the compressed air is completely oil-free. 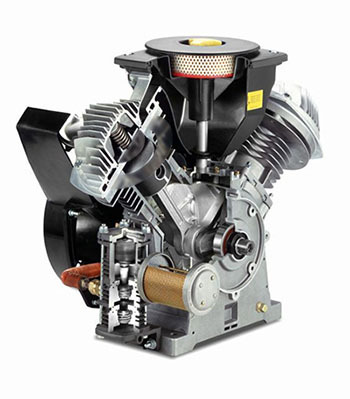 The rotors and housing are manufactured with ultimate precision to minimize leakage from the pressure side to the inlet. 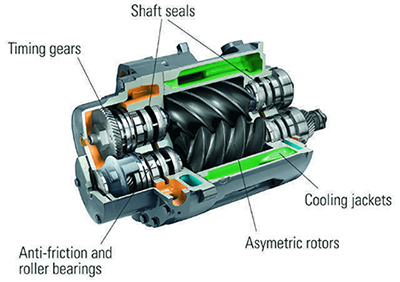 Diaphragm compressors form another group. Their diaphragm is actuated mechanically or hydraulically. 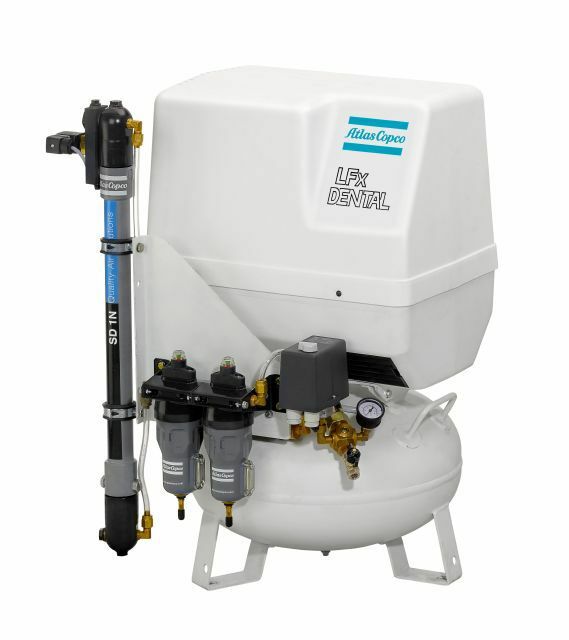 The mechanical diaphragm compressors are used with a small flow and low pressure or as vacuum pumps. 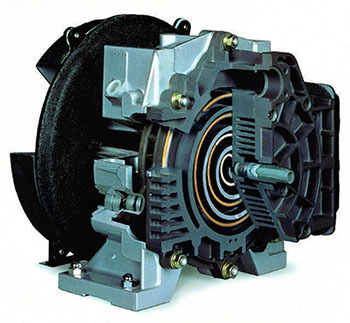 Hydraulic diaphragm compressors are used for high pressure applications.